Clarence Spencer is the founder, owner, and operating manager of Spencer's Camera & Photo. He studied Electrical Automation and Robotics Technology at Utah Valley University. 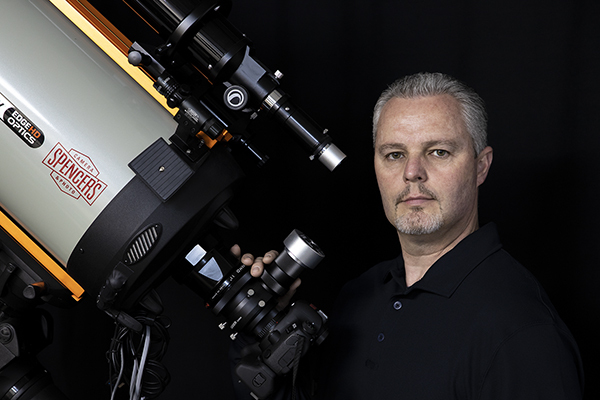 He has a true passion for night sky and infrared photography. He is an award winning photographer, Electronics and Repair Techincian, and photography workshop instructor. Clarence is a native of Utah and loves the unique natural landscapes only Utah has to offer. He enjoys many outdoor activities including camping, hiking, backpacking, and mountain biking. When the moon is new and the sky is clear you will find Clarence in the beautiful places of Utah capturing nightscapes and deep sky images.